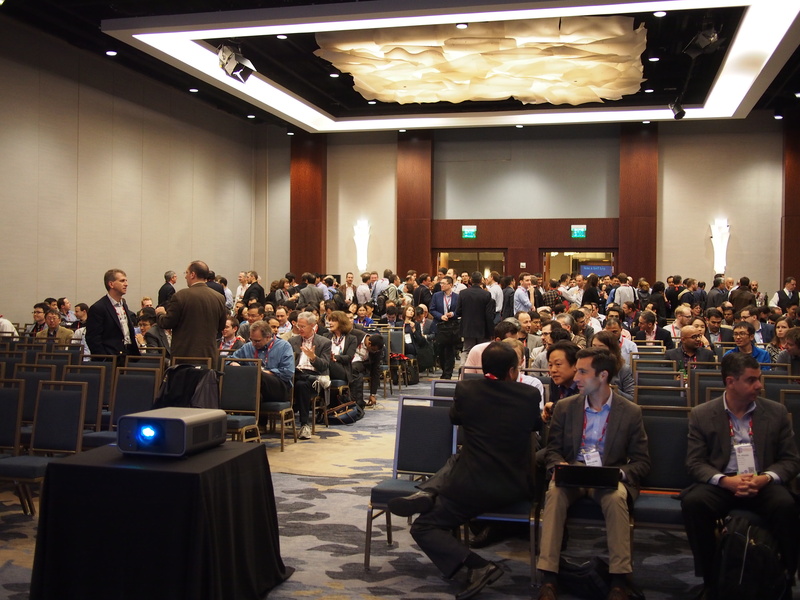 Thanks to everyone who attended M&SOM Business Meeting at INFORMS in San Francisco! The entire conference was a big success. If you wish to see photos from the business meeting, here they are thanks to Pranab Majumder. In case you missed the meeting, here are the minutes of the meeting, thanks to Guillaume Roels. The most important information is winners of our many prizes, congratulations to them all! • Philipp Afeche (2013). Incentive-Compatible Revenue Management in Queuing Systems: Optimal Strategic Delay, M&SOM 15(3), 423-443. • Ozalp Ozer, Karen Zheng, and Kay-Yut Chen. 2011. Trust in Forecast Information Sharing, Management Science 57(6). o Bray, Mendelson. 2012. Information Transmission and the Bullwhip Effect: An Empirical Investigation Management Science. 58(5). o Cachon, Swinney. 2011. The Value of Fast Fashion: Quick Response, Enhanced Design, and Strategic Consumer Behavior Management Science. 57(4). o Swinney. 2011. Selling to Strategic Consumers When Product Value Is Uncertain: The Value of Matching Supply and Demand Management Science. 57(10). • Winner: Li, L., Shubik, M., Sobel, M. J. (2013). Control of dividends, capital subscriptions, and physical inventories. Management Science 59(5), 1107-1124.